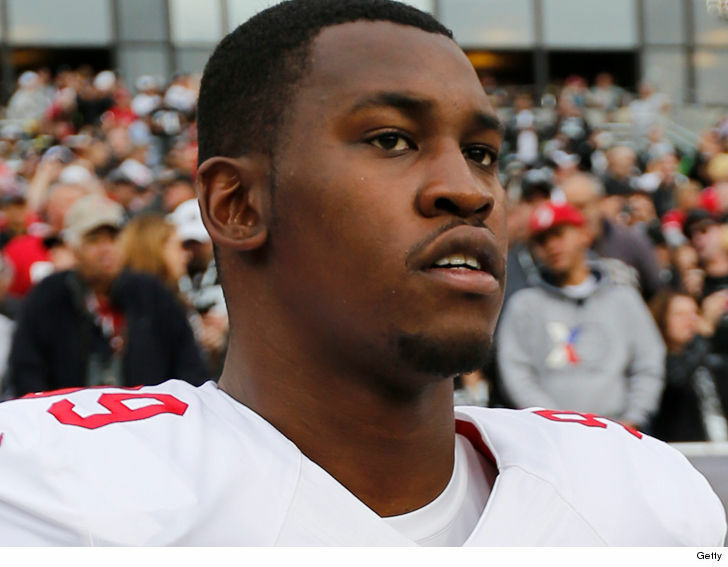 Aldon Smith’s blood alcohol level was so high on Friday, it’s a miracle he’s not dead … because a .40 can KILL most people. TMZ Sports broke the story … the embattled NFL star was arrested Friday when his court-ordered SCRAM alcohol monitoring device went off. Now, officials say the device measured his B.A.C. at a whopping .40 … 5 TIMES the legal limit to drive. In Smith’s case, the judge in his domestic violence case had ordered him to be completely sober while wearing the device … but officials say he went WAY over the edge. In fact, according to an organization for responsible drinking, most people with a .40 or higher are probably in a coma. “The nerve centers controlling your heartbeat and respiration are slowing down. It’s a miracle if you’re not dead,” the report says. On Wednesday in court, it was revealed that prosecutors and defense attorneys are looking into sending Aldon to an inpatient substance abuse facility. Smith is currently in jail and will likely remain there until his next hearing on Friday.